Your garden can bloom from early spring until late fall if you plant a variety of flowers that bloom at different times. Some early flowers will even bloom in the snow! And in a sheltered, sunny spot, late flowers can bloom until Thanksgiving. I've had roses and snap dragons (an annual) in late November. If you stick to bulbs and perennials, you won't have to worry about buying a lot of new plants every year. Bulbs and perennials come back year after year, and usually spread and can be divided, so are worth the investment. Some of the flowers suggested are actually bi-annuals, which means that they set out foliage one year and flower the next. If you plant several, and allow them to self-seed, you can keep them blooming every year. 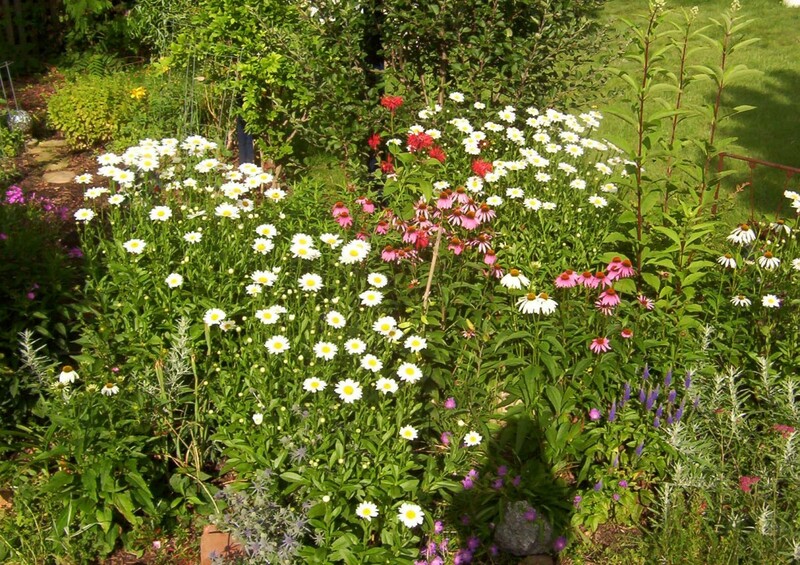 Several plants mean that bi-annuals can take turns blooming. Many flowers can be dead-headed to encourage repeat blooming. Once the flower has died, cut the stem back to just above the next full set of leaves. Allow dead flower heads to remain on the stem in fall. Some will drop seeds. Others may attract birds. Turn and enrich your soil with compost before planting. 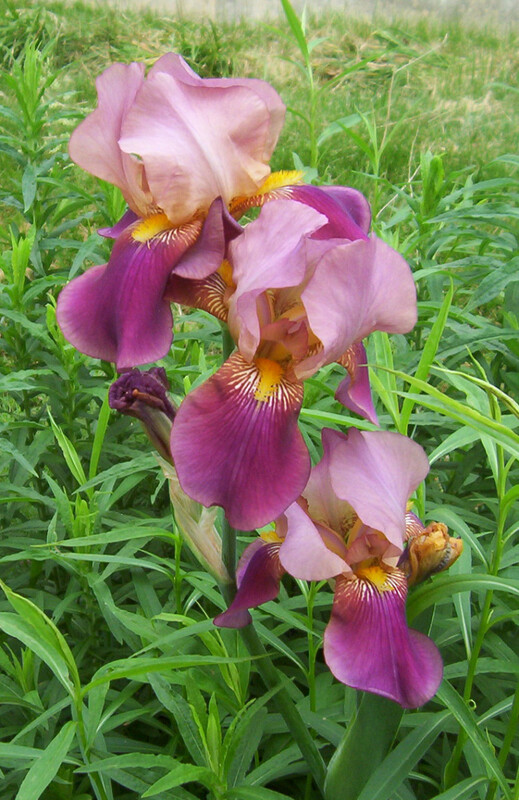 A sprinkle of bone meal will encourage large, brilliantly colored flowers. Water new plants often and well. Water deeply to encourage root growth. Make sure you plant appropriately. Some plants need full sun while other prefer shade. Learn the pH of the soil in your area. Certain plants prefer an acid soil; others need slightly alkaline soil. 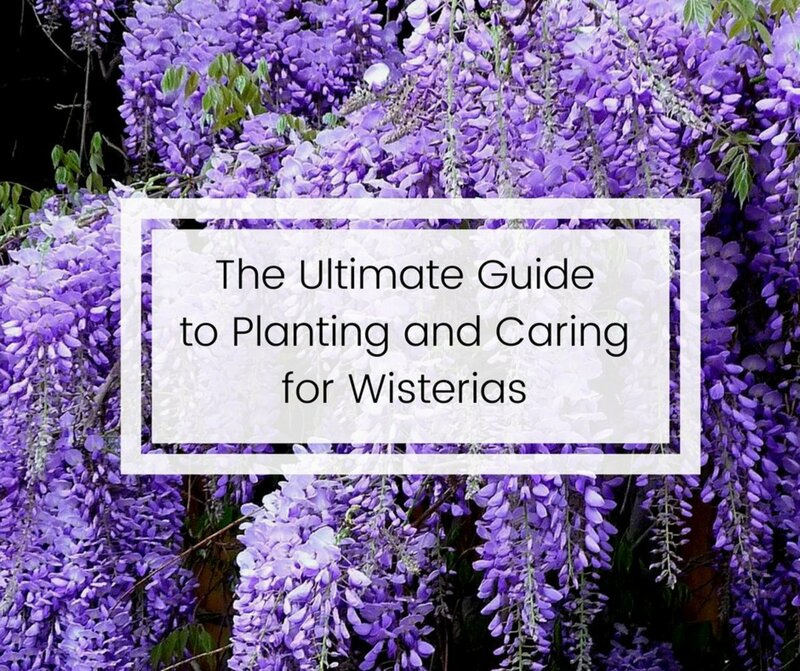 Scatter plants that flower at the same time throughout the garden. Mix them all up for a better show. Plant tall flowers in the back, small ones in front for best viewing. Select the right combination of spring bulbs for a colorful display that lasts all season. There is nothing like that first glimpse of crocus after a dull winter. Plant spring flowering bulbs in fall. The depth you plant bulbs depends on which type that you plant. Check plant tag for instructions. If your neighborhood has experienced several cases of disappearing tulips, plant the bulbs a few inches deeper than suggested. In winter months, mice and voles tunnel under the ground, and will eat the bulbs. For each bulb planted, add a tablespoon of bone meal at the bottom of the hole. If you did not plant bulbs in fall, you can purchase tulips, daffodils, etc in bloom during springtime. Enjoy the flowers indoors, then plant outside after the flowers have faded to enjoy next year. Star of Bethlehem - small, low growing white, star shaped flowers that spread. They can be invasive in some areas. Hyacinths are strongly scented flowers. Tiny, waxy flowers grow on a sturdy stem about 12" tall in white, purple, yellow, pink, and violet blue. Daffodils are 1' - 2' tall with brilliant yellow trumpet shaped blooms. 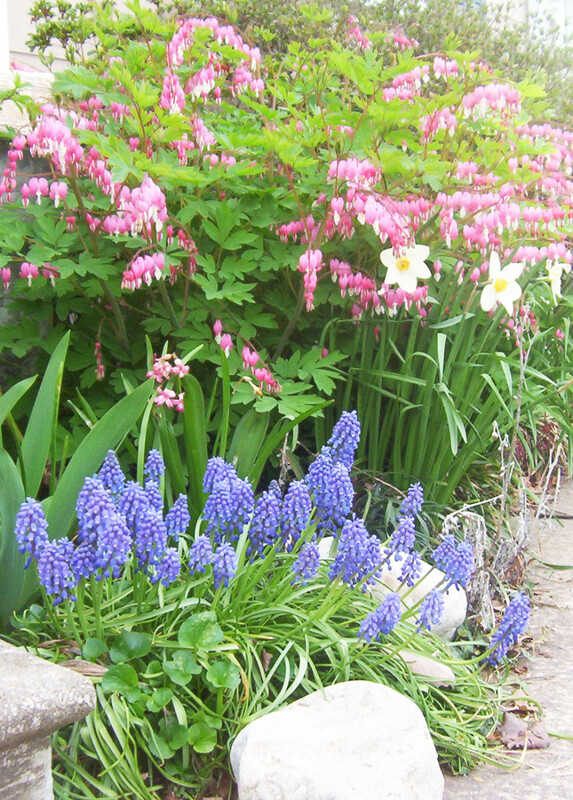 Grape Hyacinths are low growing plants with grassy like foliage that can bloom from early to late spring. Tiny round flowers cluster in shades of purple, blue, or pale violet. Narcissus come in a variety of colors and color combinations. Small cup shaped flower set in the center of a circle of petals that grow nearly 2' tall. Tulips, the queen of spring flowers, bloom in mid spring, 1' - 2' tall in a wild variety of colors - red, white, peach, pink, yellow, purple and variegated combinations of colors including green. Azaleas - woody shrubs that prefer some shade and provide a large splash of color. They prefer acid soil and lots of mulch and moisture. Water well during the summer months. Rhododendron - woody shrubs that can be from 3' to 12' tall, brilliant flower clusters above shiny leaves. Bloom after the azaleas. Bleeding heart is an old fashioned herbaceous plant with tiny heart shaped flowers. The beautiful foliage dies back in summer so you might want some fill-in plants. Up to 3' tall. 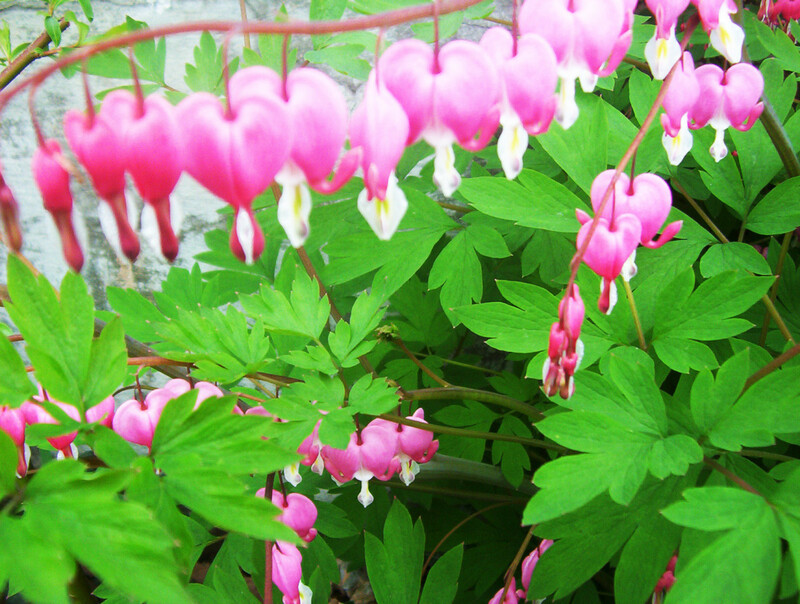 After some years, Bleeding Heart becomes quite wide. Does not transplant well. 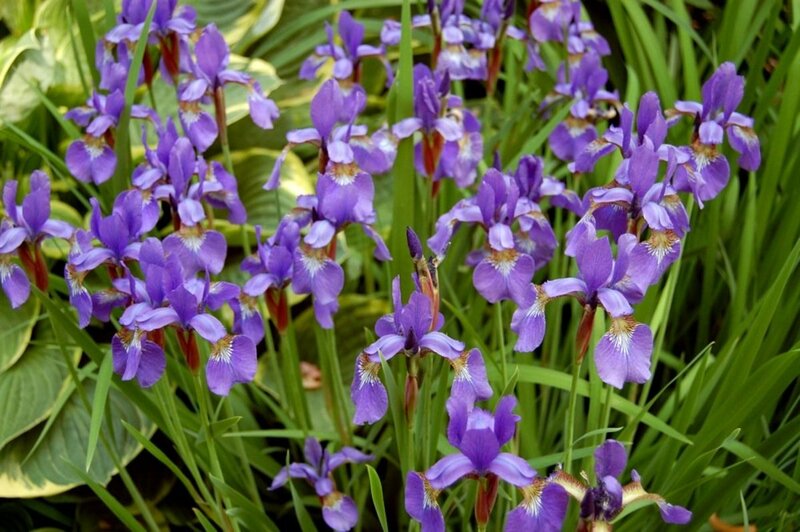 Here is a list of many perennials that bloom in late spring and early summer. 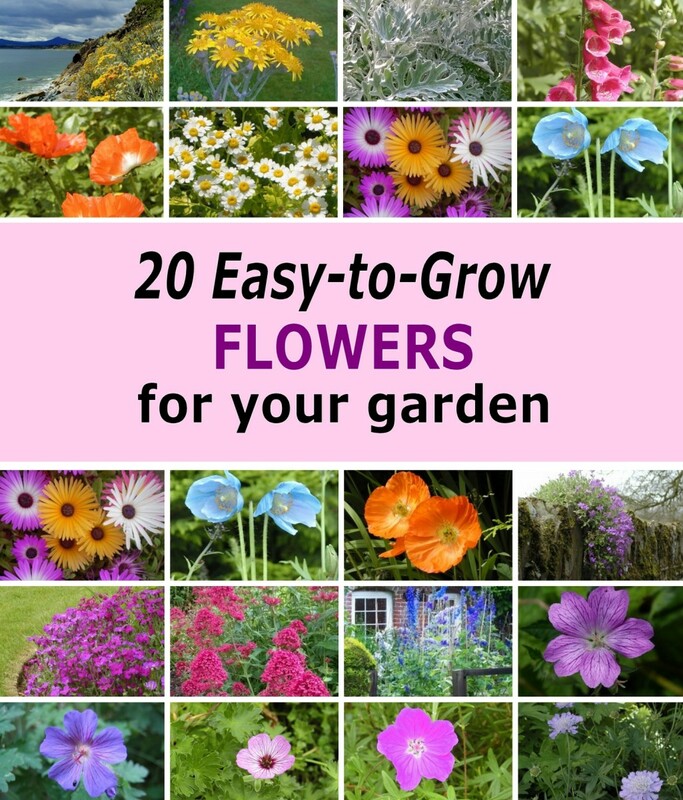 The flowers suggested are easy to grow if you are new at gardening and easily found at most garden centers. Delphinium - tall spikes of blue flowers up to 5' tall, also come in white, indigo-blue, and mauve. Foxglove is an old fashioned favorite, tall, with tubular flowers on 4' spikes. Self-seeds. 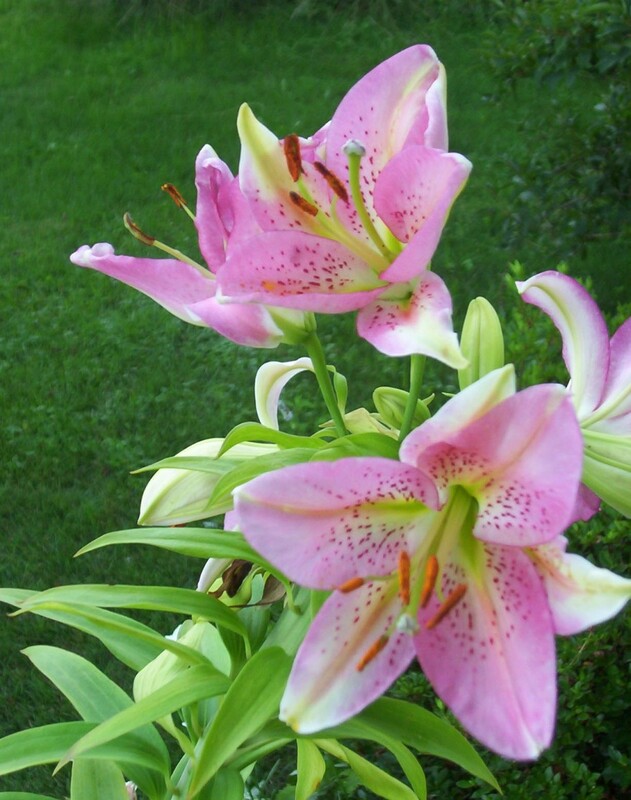 Lily - a wide variety of tall, huge trumpet shaped flowers in a variety of dramatic colors including spotted. Oriental lilies have a very strong aroma. Lupine - 4' spikes of sweat-pea like flowers in yellow, purple, blue and red that grow above broad leaves and prefer an alkaline soil. Monarda, or Bee Balm - bloom from late spring until late summer and attract hummingbirds. Tall, mint-like plant that self-seeds with colors in shades of red. Roses - many roses bloom in late spring with repeat blooms, providing you dead-head. 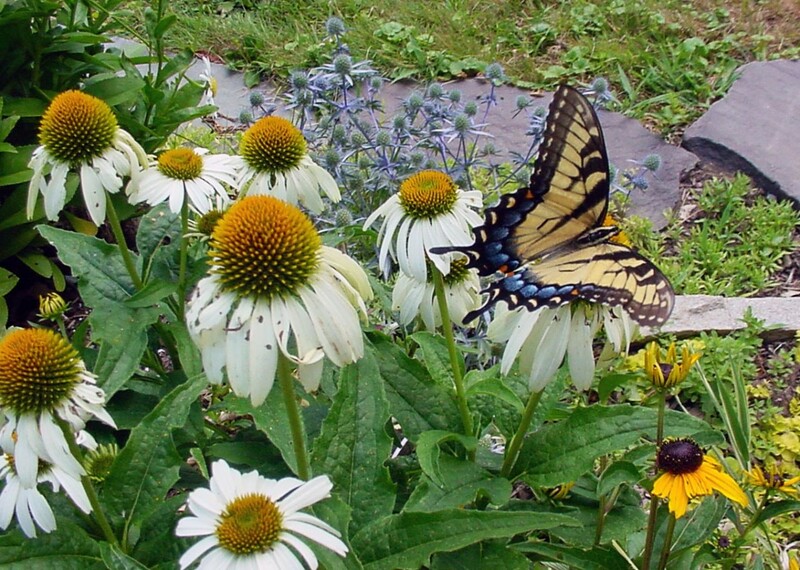 Coneflowers (shown below) are attractive, daisy shaped flowers in a wide variety of sizes and colors, one of the 10 most popular perennials, a native plant. Coreopsis bloom from early summer into fall with small, daisy-like flowers in several shades of yellow, pink, and violet above lacy foliage. 12" - 18" tall. Hollyhock - from mid to late summer, this cottage garden classic grows up to 6' tall with large, double blooms in white, yellow, pink, red, and burgundy. Sedum - a drought tolerant succulent with waxy leaves and fleshy stems. There are many types of sedum, from tall plants, to creeping types. A versatile plant. Shasta Daisies are large, classic white daisies with yellow centers from 2' to 4' tall.They grow to 3' tall and can spread rapidly. Veronica or Speedwell blue or violet-blue spikes grow 10" - 36" on a bushy plant with dark green leaves. Drought tolerant. 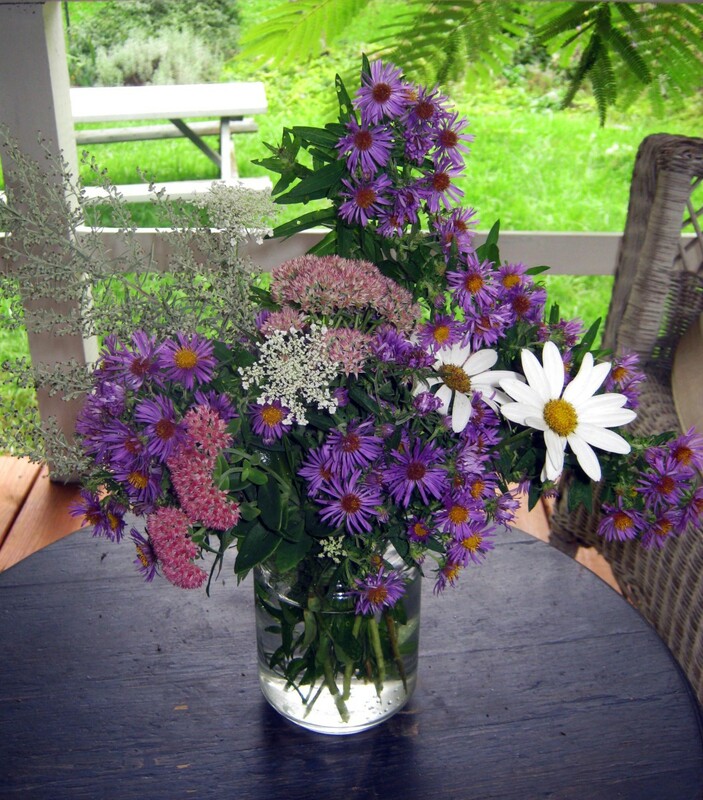 Asters can be as large as 6' New England Asters with purple daisy-like petals around a yellow center and should be cut back in summer to avoid sprawl. Support these tall growing asters. 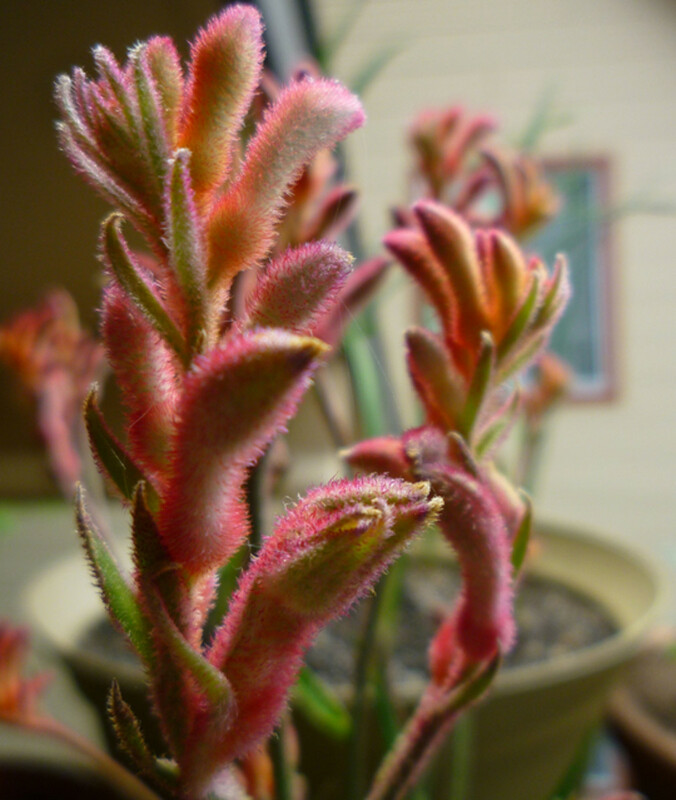 Other versions are smaller plants and come in a wide variety of colors and forms. Chrysanthemums or mums are mounded clumps that should be cut back in summer to encourage late blooming (the flowers last longer in cool weather). Flowers can be daisy shaped or cushions in white, purples, orange, pink, yellow, and burgundy. They are long lasting cut flowers. Dahlias can be relatively small or huge, dinner plate sized, heavy headed blooms with luminous flowers in shades of white, yellow, peach, and reds. 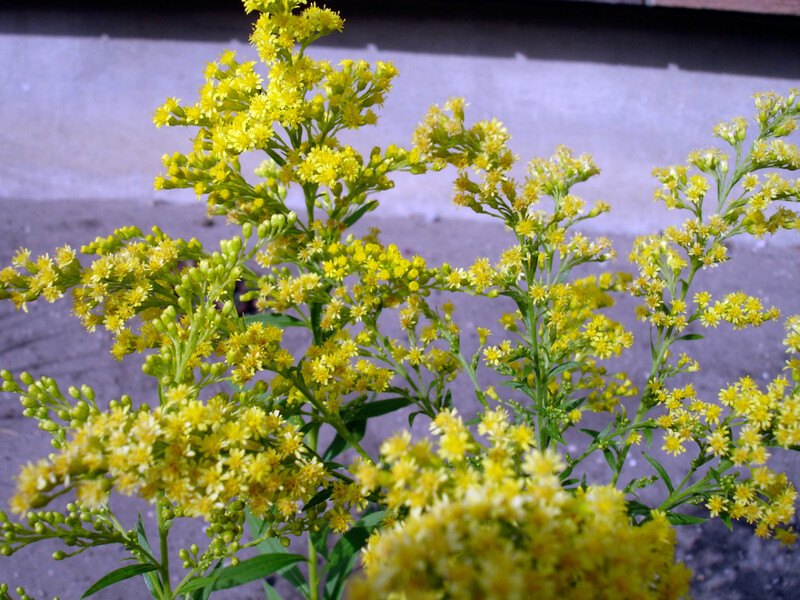 Solidago or golden-rod are tall, feathery yellow, plume-like blooms - great in flower arrangements. Yarrow - bold clusters of bright yellow flowers bloom up to 3' tall above feathery foliage. There are many showy plants that bloom quite late into fall and several plants and shrubs that will flower in early winter. Howard Hunter - Hi Howard, creating a garden can be a long process. It's fun! That's a nice sized plot you have there and you can do a lot with it. What do you want? Do you want a cutting garden or a viewing garden? If you want a viewing garden, plant the taller varieties at the back, lower in front. You can mix bulbs, purchased plants, and seeds. The space around each plant depends on the width of each plant that you choose. That information will be on the plant tag. Why don't you look at pictures of gardens and see what appeals to you. You may want it to look lined up and formal, or go for a wilder cottage garden. If I were you, I would take my time. 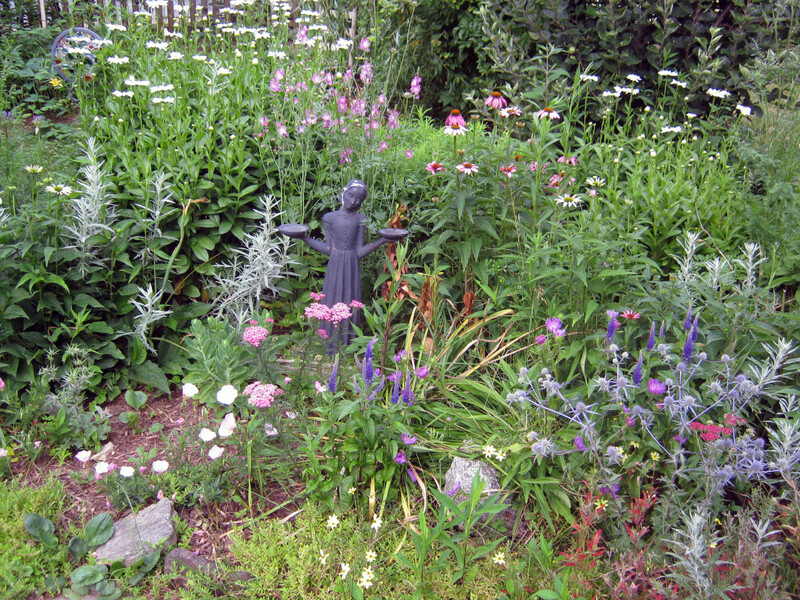 Remember that many perennials can be divided up the next year. That can save you some money. Don't worry about things not working out. You can always move the plants into a more pleasing configuration. You'll also probably kill a few. That's how we learn! 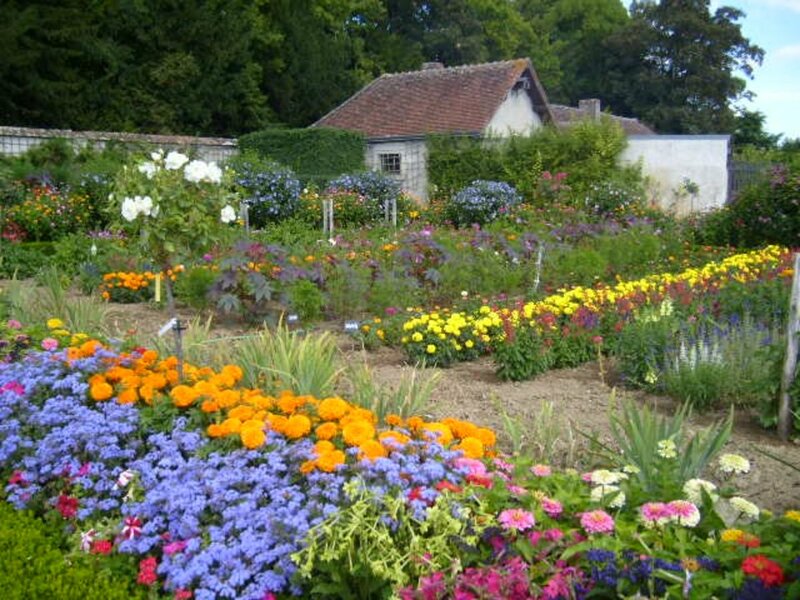 Half the pleasure of a flower garden is the work! Happy gardening! I am a total "rookie" at flowers and I live in zone 5 in Penna. I copied your listing of flowers from spring to frost and have more questions. Remember, I am "totally raw at this". Do I get all the flowers in bulb form or seeds or live plants? Also, how many should I select for a plot 21 x 21 ft. I see the heights of them so I understand that part but, how close together and are they better when no spaces are between and I go for a blanket affect. Loved your info and thank you for your time and interest. I won't be offended if your best advice is simply " forget it rookie". Thanks again ! lj - certain plants need a pH that might not be in your soil. Delphiniums like an alkaline soil. I've had mixed success with them but you can sit a hunk of concrete never them, that helps. If you add lime to the soil, you might create a pH that is not good for your acid loving plants. 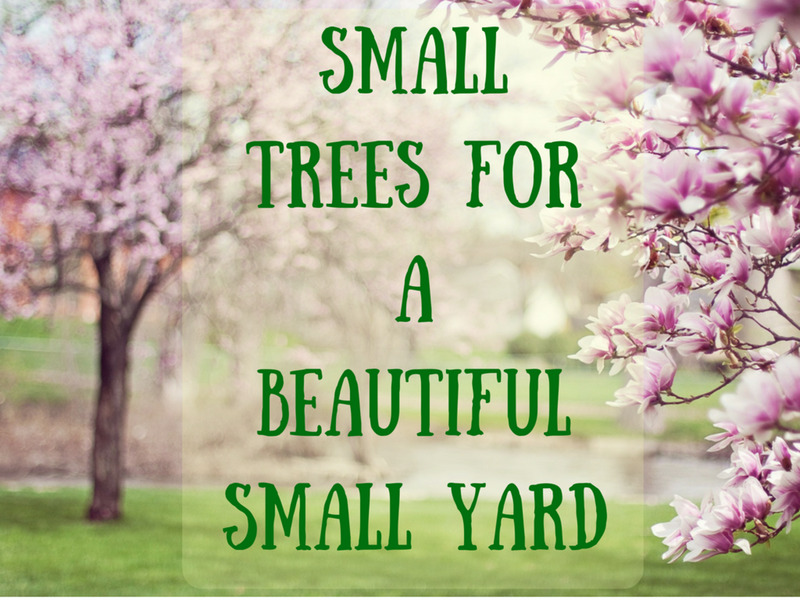 Best to have separate gardens or just use what grows best in your area. There is no use fighting Mother Nature! Great hub. I try to keep different perennials going all season too. Never have any luck with delphiniums though.